Teddy Roosevelt seems to us a paradox today, and did in his time as well: A man’s man hunter, cowboy, and war hero, who supposedly saved the game of football from extinction (Roosevelt worried that banning the game would produce “mollycoddles instead of vigorous men”); also, a Harvard-educated New York progressive and treehugging conservationist hero, who re-defined presidential style with Brooks Brothers three-piece suits and uniforms. And for all of his public heroics, Roosevelt was also a doting father who gave his nickname to the most universally cuddly species of bear. 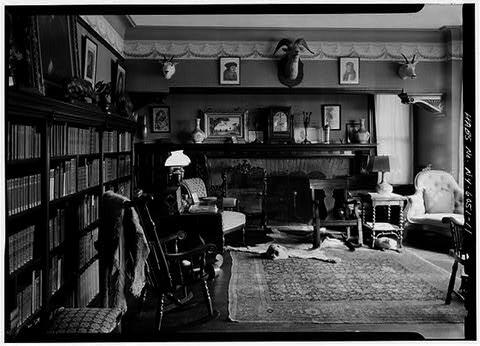 Perhaps some of the best representations of Roosevelt's personal ethos are photographs of his combination library and gun room, hung with hunting trophies and skins in the home he built for his family in Oyster Bay, New York (below—see more at the appropriately named “Art of Manliness”). 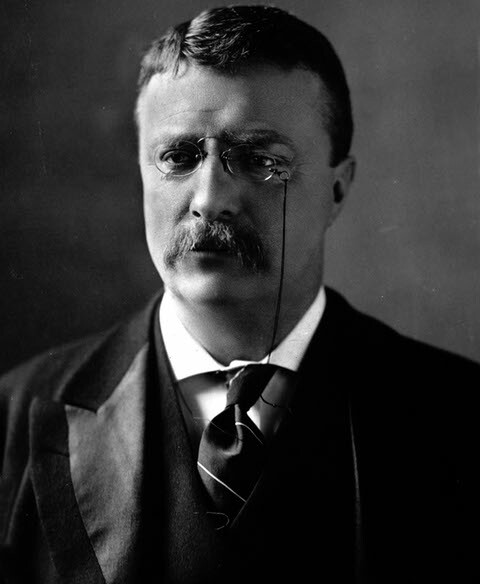 Book Riot points us toward a few pages of Roosevelt’s autobiography, in which—amidst picaresque chapters like “In Cowboy Land” and heavy ones like “The Presidency; Making an Old Party Progressive”—Roosevelt pauses to detail his thoughts on reading in a particularly pragmatic chapter titled “Outdoors and Indoors.” Although Roosevelt does not present his contemplation as an easily digestible list of rules, as is the fashion now, Book Riot has seen fit to condense his thought. Below see the first five of their list, “Teddy Roosevelt’s 10 Rules for Reading." I’d be willing to bet that if everyone followed Teddy’s advice, we could up the woeful national literacy quotient within a few short years. Head over to Book Riot for the remaining five of Roosevelt's "rules," along with some witty commentary.